It’s that time of year again. The end of an old year and time to make another mosaic of past projects. I must admit I kind of like doing this at the end of the year. Makes me look back and feel productive. I will give 2013 props – it has been a good year. A little crazier in some respects than I’d expected, but here we are at the end of it and we’re hanging in there. I’m looking forward to 2014. I have some fun goals and plans in the works and I’m excited to see how they all develop. I’m sure 2014 will have it’s share of curve balls as well. In the mean time, a huge thank you for stopping by this blog. The encouragement I receive here is amazing. Thank you! And now a question for you: What would you like to see more of in the quilt blog world in 2014? Also, don’t forget, lots of year-end fabric sales end today. There are still good deals to be had from shops like Cuts of Cotton, Pink Castle Fabrics, Southern Fabrics, JAQS fabrics, Honey Be Good, Mad About Patchwork, and Bloomerie fabrics. Great suggestion Karin! I love the history of vintage quilts. I&#39;d love to learn more about that myself. Personally, I would like to see a return to more traditional quilt making techniques—no more HSTs, shortcuts, etc. I would like to see more inset seams and challenging tutorials. Quilting seems to have become all about &#39;quick, get it done using coordinating fabrics lines, etc.&#39;, producing quilts that all look alike. Perhaps that is what modern quilting is all about? I think your idea is a good one. I feel like I&#39;ve always focused on teaching basic quilting to beginners, but I too, would like to learn and share more challenging techniques. Thanks Julie! Isn&#39;t it nice to see what you have accomplished in 2013 all in one post? I just did the same thing, and it&#39;s a great trip down (recent) memory lane. What a great mosaic of 2013! Lots of beautiful pieces! <br />I am quite happy with what you present here on your blog, Amy. Maybe a little more ideas of how to mix and match fabrics would be good to see more of. <br />Happy New Year and All the Best Wishes for 2014! I&#39;ve been thinking along those lines as well. Thanks! So many beautiful projects in 2013! Just more of the same is good enough for me. I love tutorials, but realize they take an awful lot of ones time. Happy new year! I would be interested in seeing how you pull the fabric for a quilt. I am moving away from using only one line in a quilt and am timid indeed about pulling it together. Happy new Year and thanks for sharing with us all. I am just now pulling fabric for a quilt from my stash. I&#39;ll document the process to share. Thanks for the suggestion! I&#39;m hosting my daughter&#39;s baby shower this spring. I&#39;d love to make some cute favors. What are the chances of some tutorials for some homemade quilted ideas for favors??? Great idea – I will look into that. Thanks. I&#39;d appreciate that. I&#39;ve researched coasters, fabric bowls, zippered change purse. I was just looking for something to WOW everyone because it was different, needed and FABULOUS!!! I would probably make them all in shades of blue since my daughter is expecting a son. I can&#39;t wait to see what you come up with!!! Thanks in advance. I love your blog, Amy! Besides sewing, the thing I really like is when you get personal and show pictures of your family and places you visit. I loved your pioneer summer, that was totally awesome. Aww, thank you! Sometimes I wonder if the personal stuff is boring. So thanks for the encouragement! Another great year and mosaic for 2013! I&#39;m thinking 2014 will be even better for you — after all, you&#39;re going to ENGLAND!!!! (Can you tell I&#39;m excited for you?) Happy New Year!!! Nice finishes for 2013! 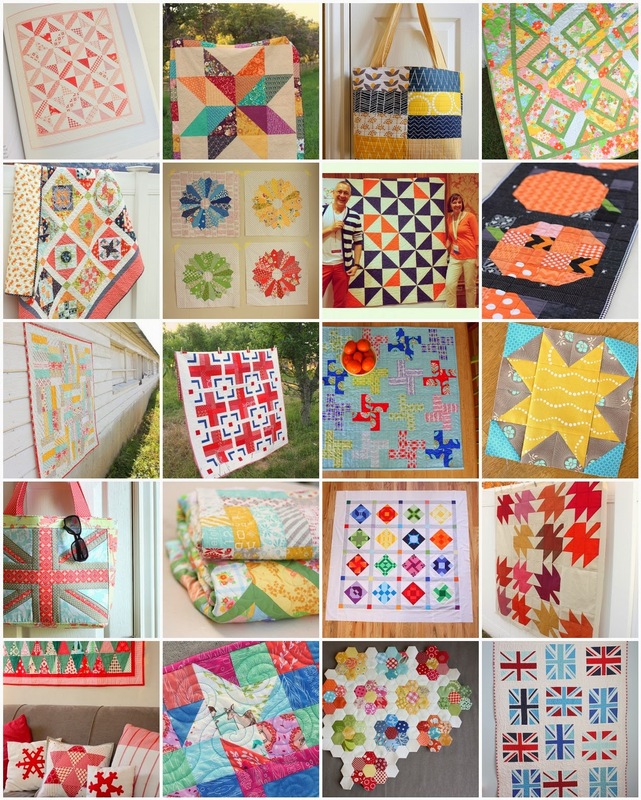 Even though I am sure it takes a lot of time to do quilt tutorials they are much appreciated!